Breakfast doesn't get any simpler than this. Enjoy all the ingredients of a perfect morning meal, all in one bowl. 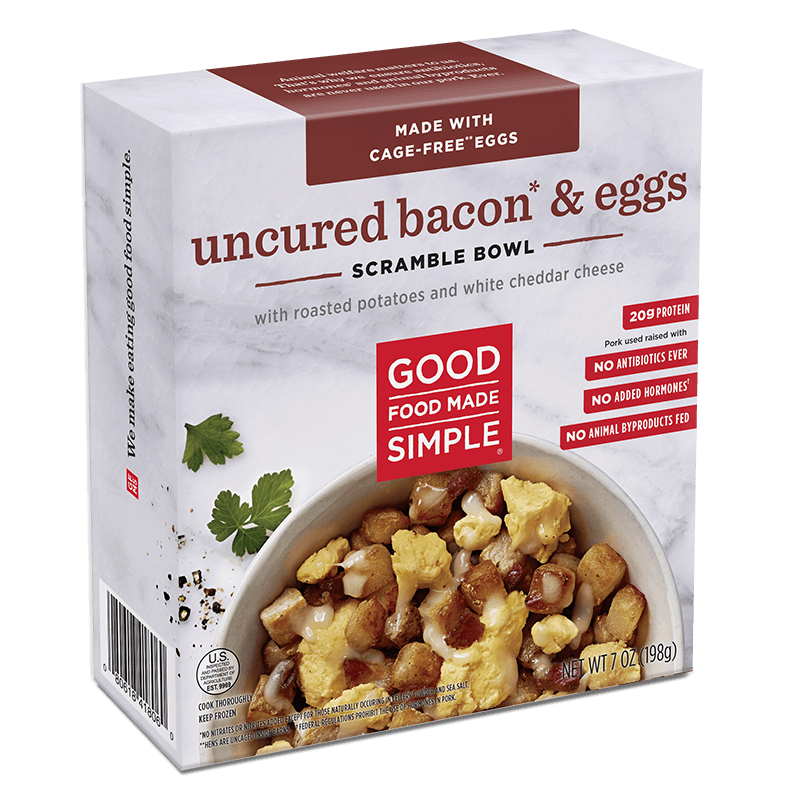 Sink your fork into a hearty combo of uncured bacon, cage-free scrambled eggs, organic roasted potatoes and white cheddar cheese. Scrambled whole eggs (cage free eggs, whole milk, cornstarch, sea salt, pepper), organic roasted russet potatoes (organic potatoes with organic olive oil), white sharp cheddar cheese ([cultured pasteurized milk, salt, enzymes]) potato starch and corn starch [to prevent caking]), uncured smoked bacon—no nitrates or nitrites added other than that naturally occurring in celery powder (pork raised without antibiotics, water, sea salt, sugar, celery powder), water, spices.